Marcus Jundt, the chief executive of struggling polished-casual chain Kona Grill, resigned from his post, effective March 31, the company revealed in a securities filing Friday. Jundt took over as sole CEO in January, less than two months after Kona Grill said it would try a dual arrangement with Jundt and Steve Schussler. Red Robin takes its menu of innovative, gourmet burgers very seriously, and its newest addition is no joke. Starting on Monday, April 1, guests visiting Red Robin Gourmet Burgers and Brews nationwide can order The Impossible Burger, which delivers all the taste, aroma and beefiness of meat, but is entirely plant-based. The Cheesecake Factory is teaming up with its exclusive delivery provider, DoorDash, to give away $250,000 worth of free food on April Fools’ Day this year. This is not a joke… starting at 1 p.
Quaker Steak & Lube, a casual-dining restaurant featuring unique automotive and gas station themed décor with craveable food and drinks, has announced the launch of its new guest rewards program, Revved-Up Rewards. Now in its sixth year, Fishbowl Analytics’ list of emerging brands has laid down quite a track record, tapping brands like Sweetgreen, which hit a valuation of $1 billion last year, as well as Shake Shack, as concepts on the rise. JINYA Ramen Bar, a Burbank, California based concept that has become wildly popular throughout the United States and Canada, specializing in the innovative combination of gourmet noodles, authentic toppings and specialty broth, announced it will be opening its second location at 11964 Market Street in Reston. With roots firmly planted in the Deep South, Woody’s Bar-B-Q has opted to move even deeper South. Marking the opening of its newest franchise location, Woody’s Bar-B-Q of Pembroke Pines will soon serve barbecue lovers in Broward and Dade Counties. 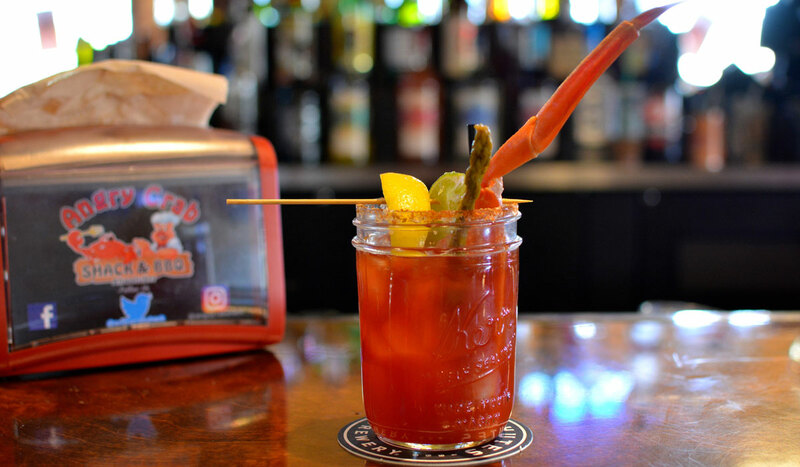 As HOBNOB Neighborhood Tavern heads into its 10th year of operation, the casual dining destination is enjoying record success. In the past two years, HOBNOB has expanded beyond its flagship Midtown location, opening well-received outposts in Brookhaven and Dunwoody, going from 25 employees to more than 180, with a fourth location at the popular Atlantic Station mixed-use developed slated to open this fall. Red Robin Gourmet Burgers and Brews will launch its unique interpretation of the Impossible Burger on Monday at all 570 restaurants in the United States.Red Robin’s Impossible Cheeseburger features a delicious, fire-grilled, plant-based Impossible patty, topped with Red Robin’s pickle relish, red onions, pickles, lettuce, tomatoes, mayo and choice of cheese. Golden Corral is affording customers an opportunity to save time and work preparing an Easter dinner by offering a new Easter Holiday Menu To Go option.Customers can now place online orders for their Easter meals in advance through Golden Corral’s website and pick up a traditional family meal before Easter Sunday at their nearest Golden Corral restaurant. Friendly’s Restaurants has appointed three new agencies of record as part of its efforts to reinvigorate the beloved community-oriented brand as consumer dynamics and the restaurant marketplace continue to evolve.